Expired 2mo ago . Last validated 3mo ago . Used 182 times. Gabriela This deal still works as described. I am re-activating it. Enjoy 15% off on your next order. Just apply promo code at checkout process to redeem the discount. Lei Josefina I am validating that this deal works as described. 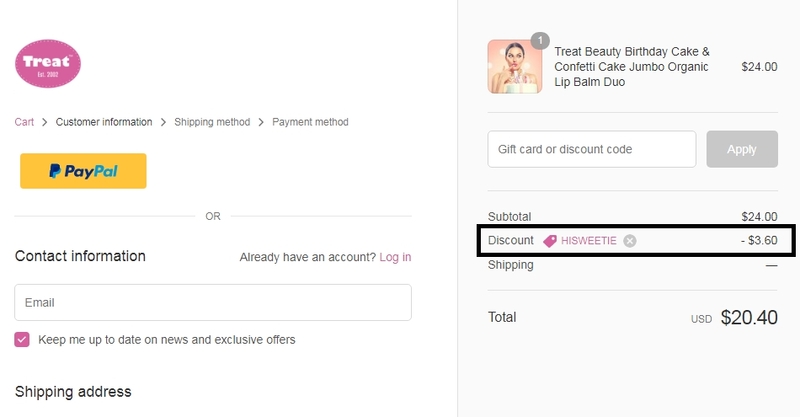 Enter code and Save 15% Off Your Next Order at Treat Beauty . This is a limited time offer. 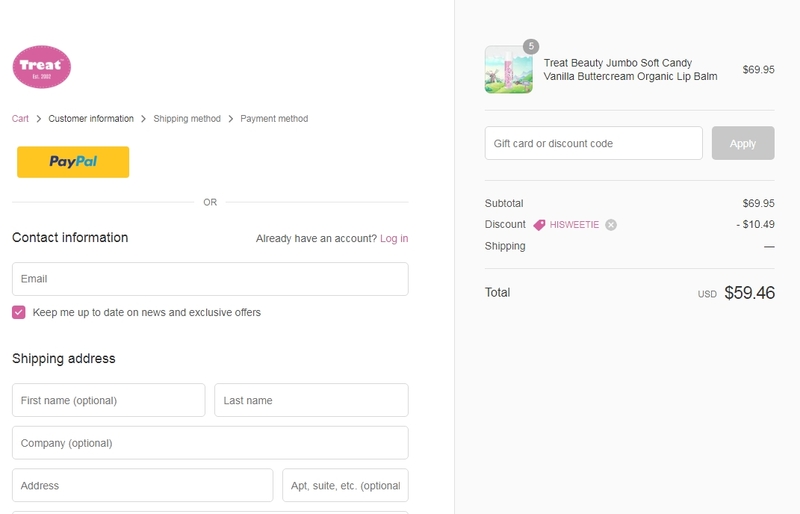 Leng-Leng As of 4/2/18, I tested this promo code and verified that it works as described. Exclusions apply. Chelsea Mayer Promo code works very well, add your item to the cart and in the payment process you can apply the code. Juan Sanchez This deal was tested and works as described. Select your products, and enter the promo code at checkout to get the descount. Exclusions apply. Veronica Vera I am validating that this deal works as described. 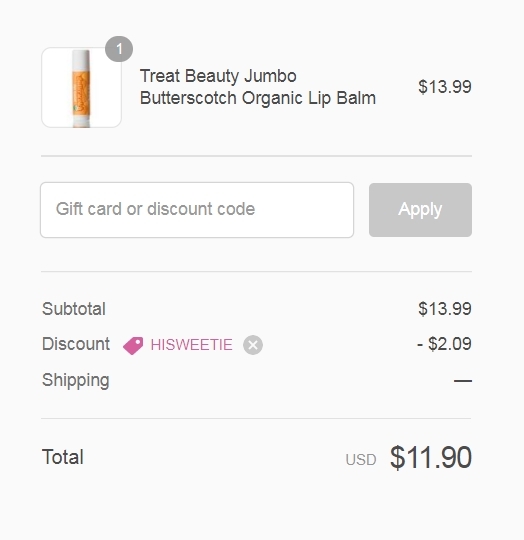 Enter code “HISWEETIE” and Get Save 15% Off Your Next Order at Treat Beauty.